Diablo III Patch 2.2 is fast approaching the Public Test Realm, and more details are arriving about the massive patch. Those who comb through the Diablo III data files will find details about a new microtransaction system. That may bring purchases of many cosmetic items, along with timed experience bonuses. 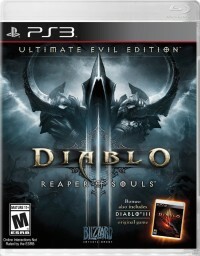 But the catch is that this system is not going to be available in the Americas or Europe Diablo III regions - it will instead likely arrive in Asian regions, where such PC gaming microtransasctions are common. The official word about this microtransaction system lists a new Platinum currency, and items that may be purchased with it. While these are primarily cosmetic bonuses, it does also include a bonus of "timed experience boosts". As listed in this blue post, and a corresponding European post, this entire system will not be going live in patch 2.2.0 for the Americas or European Diablo III regions. Development for patch 2.2.0 has been underway for some time and we'll be launching the PTR shortly. We've got great quality of life changes and new content coming in our next patch, and we'll have even more details to share in the near future. While the above features will not apply to this region, players will still benefit from some of the quality of life perks tied to these additions, such as a streamlined UI for selecting cosmetic benefits like pets and Collector's Edition wings. 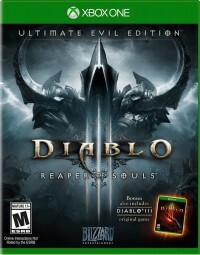 In Asian countries such as South Korea, games like Diablo III are primarily played at internet cafes, instead of at home on a private PC. In those places, a game like Diablo III is purchased by the cafe, and players log in on their own battle.net accounts as they use the PC. 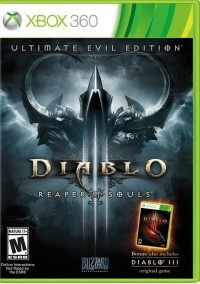 This new microtransaction system for Diablo III could be a way to monetize the game more in such regions. 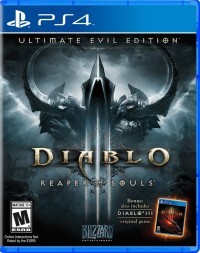 This may also relate to regions that did not have the Reaper of Souls Deluxe Digital Edition and other extended options for the expansion, and so do not have all the bonuses that were included there. Whatever system is put into place, it won't be part of the game in western Diablo III regions for patch 2.2.0. Update February 21, 2015: The same post has been put up on the Korean battle.net forums, stating that these microtransactions will not be coming to the main Asian server in patch 2.2.0; this news title has been updated accordingly. The patch may be adding the underlying framework for microtransactions, to be activated in a later patch. The introduction of microtransactions in the game could be for the upcoming Chinese edition of Diablo III, which is scheduled to go into technical beta testing in the near future. We will see what future patches bring!